If you are in the need of a desktop multi-port USB charger, there is a great deal over at Amazon for you today. 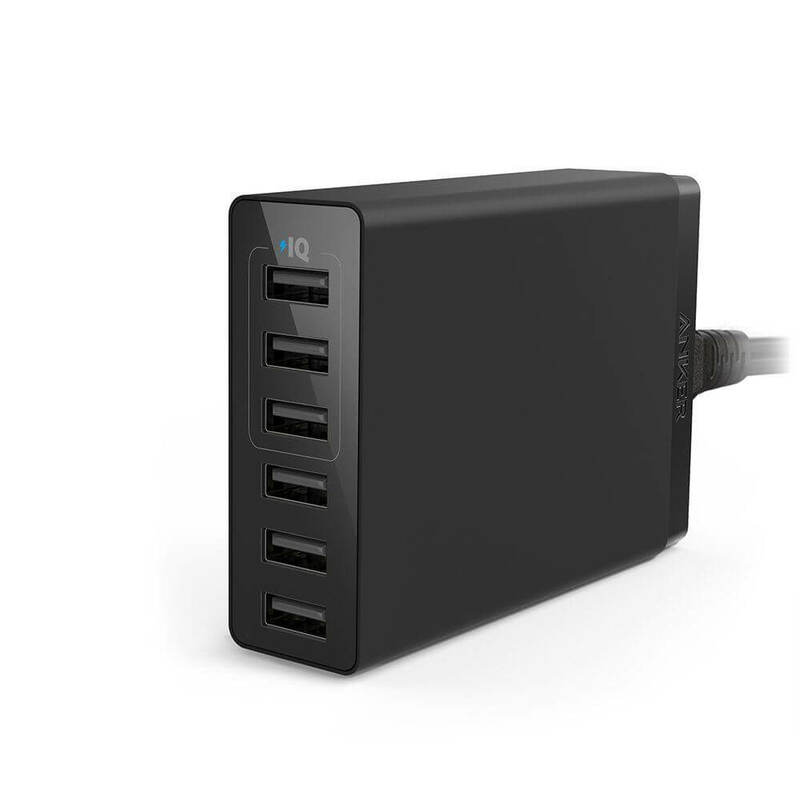 The Anker PowerPoint 6 Lite, 6-Port USB 30W charger is only $16.99 today as part of the online retailer’s Today’s Deals program. Normally priced at $49.99, this desktop charger is designed to allow you to charge up to six devices at once, providing up to 2.4W per port to charge your devices fast and efficently. I personally used the Anker 5-port USB charger (the one released before this model) and I reviewed it last year. That unit I rated at 4.8 out of 5 stars and both me & my wife use them at our desktops. As with all of the Amazon deals, they are limited to today and when they are sold out so if you want to get one, this morning is the best time to do it to assure you get one. I have no problem recommending Anker products as they have always performed well for me. If you need a multi-port charger, this is certainly one to consider. Here are the specs for those interested. Fast Charging Technology: Exclusive to Anker, PowerIQ and VoltageBoost technology in three ports provides the fastest possible charge, up to 2.4 amps per port (Qualcomm Quick Charge not supported. For Quick Charge 2.0, please see Anker’s PowerPort+ series). Family Sized: With six ports, the Anker PowerPort 6 Lite pumps out enough power for the whole family to simultaneously charge multiple devices. Certified Safe: Anker’s MultiProtect safety system ensures complete protection for you and your devices. Worldwide AC 100-240V compatibility makes it ideal for international travel. What You Get: Anker PowerPort 6 Lite (30W 6-Port USB Charging Hub), 5ft / 150cm detachable power cord, extra velcro strip, welcome guide, our worry-free 18-month warranty and friendly customer service.